“Astronomers using data from NASA’s Hubble Space Telescope have caught two clusters full of massive stars that may be in the early stages of merging. 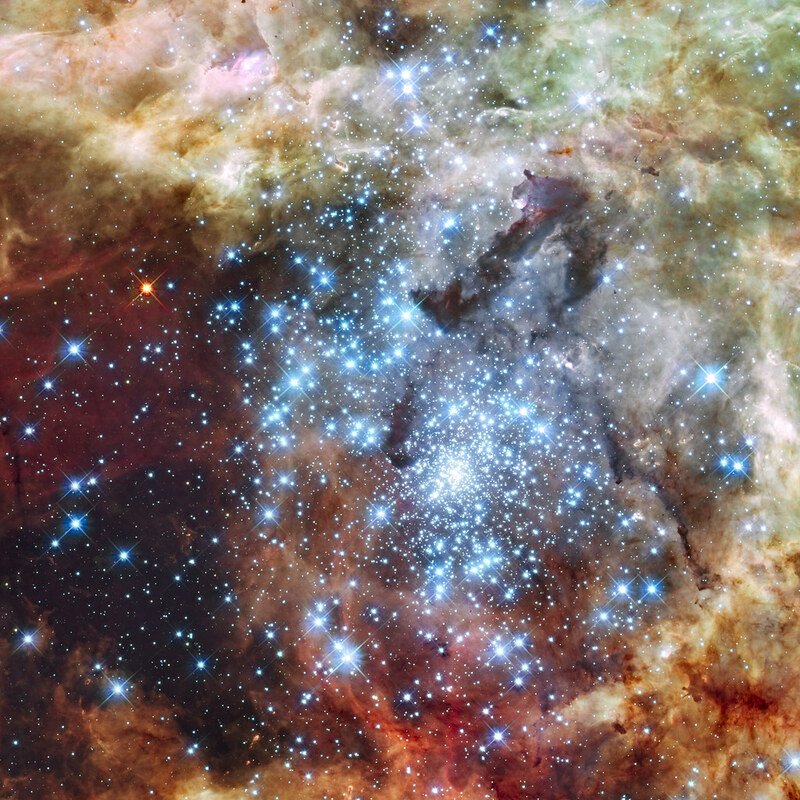 The 30 Doradus Nebula is 170,000 light-years from Earth. What at first was thought to be only one cluster in the core of the massive star-forming region 30 Doradus has been found to be a composite of two clusters that differ in age by about one million years. Posted in Big Picture, Photography | tagged astronomy, deep space, Hubble, Hubble Space Telescope, NASA, nubulae, red, space, stars. The permalink.